Without a doubt, the Pinot Bianco is one of the leading South Tyrolean white wines, especially in our area of cultivation, since this area provides the ideal conditions for wine of the highest quality. With its bright yellow colour with green reflections, this wine expresses the full grandeur of this variety. It has balanced aromas, a strong and pleasantly dry flavour, with fresh acidity and a pleasing smoothness. A wine which, when served chilled, is the ideal accompaniment to fish and white meat dishes. Olive oil nativ extra Crudo Extravergine 3 lt.
For a good, homemade pizza, a quick caprese or any recipes you fancy trying with mozzarella. Amber, intense in colour and with a persistent head. Intriguingly aromatic bouquet. Soft and balanced, with enjoyable toasty notes, hints of red fruits and a slight spiciness refermentation in the bottle, which adds even more interest. Bright ruby red color, fine nose of ripe red berries, blackberry and raspberry, silky and round with soft tannins. Good structure and long finish. A delicate pleasant Rosé wine with a hint of strawberry. Ideal with mediterranean cuisine, as an aperitif or paired with appetizers. Müller Thurgau - 2017 - cantina soc. Eisacktal Alto Adige 10,65 EUR / 14,20 €/lt. Sylvaner - 2018 - cantina Eisacktal Alto Adige 11,20 EUR / 14,93 €/lt. Lagrein South Tyrol - 2016 - wine cellar Lageder Alois 19,10 EUR / 25,47 €/lt. Cabernet Merlot - 2017 - Winery Caldaro South Tyrol 12,70 EUR / 16,93 €/lt. Sissi Passito 0,375 lt. - 2016 - Cantina Merano Burggräfler 38,35 EUR / 102,27 €/lt. Gewürztraminer - 2016 - vine cellar E&N South Tyrol 15,90 EUR / 21,20 €/lt. Pinot Noir Saltnerhof - 2016 - Winery Caldaro 18,00 EUR / 24,00 €/lt. Pinot Noir - 2018 - Winery Caldaro 13,95 EUR / 18,60 €/lt. Merlot South Tyrol - 2015 - wine cellar Lageder Alois 17,60 EUR / 23,47 €/lt. Sauvignon Floreado - 2017 - Winery Andrian 16,90 EUR / 22,53 €/lt. Pinot Grigio - 2017 - wine cellar Lageder Alois 16,00 EUR / 21,33 €/lt. Red Col De Rey - 2013 - Estate Laimburg 36,20 EUR / 48,27 €/lt. Sauvignon Tasnim Bio - 2015 - Winery Loacker 20,55 EUR / 27,40 €/lt. 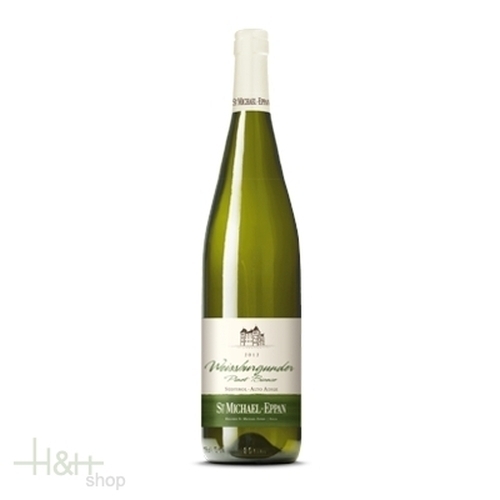 Gewürztraminer Aristos DOC - 2015 - Eisacktaler Kellerei 23,25 EUR / 31,00 €/lt. Schiava Römigberg - 2017 - Tenuta Lageder 16,65 EUR / 22,20 €/lt.